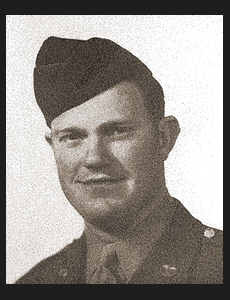 T/5 John W. Kent, son of Mr.and Mrs. B. W. Kent graduated from Frederick High School; husband of the former Betty Lee Hannon. Entered Air Corps in 1943, trained in Sheppard Field, Texas and Geiger Field, Wash; served in Okinawa. Awarded Good Conduct Medal, Victory Ribbon, Asiatic Pacific and American Theatre Ribbons.